Ballad’s touch spirit and soul. Fans of “Pankow”, Rio Reiser, Veronika Fischer or Mikis Theodorakis didn’t miss out at yesterday’s evening in Weidenkuppel/Ehmkendorf. Rainer Kirchmann was on the billboard, showed up and touched spirit’s and soul’s with his song’s. He also played severe tunes of his Mikis Theodorakis-Program, presented song’s of his soundtrax written for various movies – and songs, played earlyer day’s with singer/songwriter Anette Berr. The title of his program, same title of a song he wrote to a movie called “Abendland” (“Nightfall”) by Fred Kelemän. Same movie got presented (first german movie since twenty year’s) in english movietheater’s. Kirchmann wrote the music to it. Ex – keyboarder of the Band “Pankow” R.Kirchmann never really stood out.Allthough he wrote that song “Langeweile”,still – he seemed to be standing in the shadow of singer A.Herzberg and J.Ehle. Now, recently Kirchmann discovered an forgotten opus of 1967 by Mikis Theodorakis and brought the whole music-event on stage together with Maria Faratouri (the priestress of Theodorakis). But, if you look closer – it wasn’t really that surprising, because Kirchmann was touring with the big Greek already in 1990. A couple of year’s later he discovered that Songcycle, that Theodorakis wrote in the summer of 67. Theodorakis got sentensed to jail by the military junta. Behind “Sun and Time” – the illusion and the wish to be free.Behind bar’s the “inmate” drowned in the vision of the far world, which was close and yet so far.He bemoaned the hoplessness in his country. In the 70’s “Sun and Time” was performed on stage by Maria Faratouri. An english translation conveyed enormous renaissance to that music-piece. R.Kirchmanns performance not only carry’s the spirit of being a Theodorakis “re-discoverer”, he also is performing in a crowded house (Passionskirche) as well. He himself is singing with Farantouri.That fact alone top’s all daring boldness. His old Band “Pankow” only allowed him to sing “uh la la la”.What a contrast. 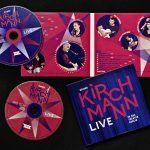 Kirchmann sing’s deep from the inside with soul and passion. He even connect’s rockballad’s with the greek language. “Sun and time” is played by classical greek instrument’s, appear simple and work they’r way into the soul. Right next to the vocales, you’ll find the percussion carrying the song’s. 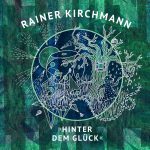 In the second part of that music-piece you’ll even find Kirchmann playing an distorted guitar, strollin’ carefully along the edge of rock n’roll. The highlight was a duett Kirchmann/Farantouri, almost a slight spirit of a wunderfull hippie-summer. It is rather rare to catch rainer kirchmann on stage.,and if you do,-you’ll find him most of the time by himself. His brandnew solo-program called “on the way to the paradise”. He is accompanying himself by playing the – grandpiano,keyboard or guitar. It’s a teriffic cross-cut through out his creativ work, he’d done during his versatile artistic period of the last couple of year’s. Some Pankow & Theodorakis-song’s , – chansons , – dating back to the time where he worked with singer Annette Berr and a selection of song’s he wrote for severe film & theater-pieces.Authentically and a artisticly a “no compromise” – additude characterizing his new song’s,same like old hit’s in a minimalistic fashion. A voice and an instrument , that’s plenty enough to bring the powerfull song’s back to life. A real convincing show of a composer and a performer who further more bring’s his own lyric’s to life as well. vocal’s and composition at the “HfM Hanns Eisler”. Heinz Quermann Talenteschuppen (Talent-surch) called “Herzklopfen kostenlos”. Right after that,- Rainer joined his first professional band called “Progressiv”,where he was contributing his first song’s.1977 he filled huge festivals and big stages with the Hardrockband “Prinzip”. Rainer wrote the “Prinzip”- hit “Weit ist die Strasse”. Jürgen Eble coninued and joined together with ex – “Gaukler – Singer” Andre’ Herzberg to set the cornerstone of a band named “Pankow”. Their first rock – spectacle “Paule Panke” took care of a nationwide stir and problem’s with the government. The (at that time) former TV-circusdirector Renz had the opinion :”you have to create a NEW genre for a band like “Pankow”.Nobody knew how to cope with such an act. No airplay, no deal and even Recordcompany “Amiga” kept the hand’s off that rock-show. In their lyric’s the band pictured harsh a day to day situation of a youngster called “Paule Panke”.That again was a thorn in the eyes of the governmental section responsible for the cultural part of the country.It didn’t fit in the “socialist – immage” they had about themself. Parallel to that time Rainer also went solo,wrote music for severe theater-pieces and even went ont stage becoming an actor (1987 “Paule Panke -Theaterplay / Theaterhouse Schwedt ). 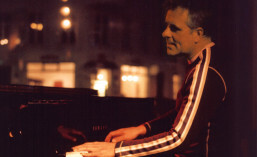 In 1990 Rainer joined the ensemble of Mikis Theodorakis and toured through out Europe. 1996/ Rainer was quitting Pankow and begann to work with Chansonsinger Annette Berr. Kirche by Berlin, which got broadcasted only in Greece in 1999. Jannis & Thanassis Zotos,Christian Sade and Ulrich Maiß. A Live-performance of that Band is yet to come.